Conjunctivitis is a very common eye condition, which is caused by the inflammation of the conjunctiva, this is the thin layer of tissue that covers the front of your eyes. 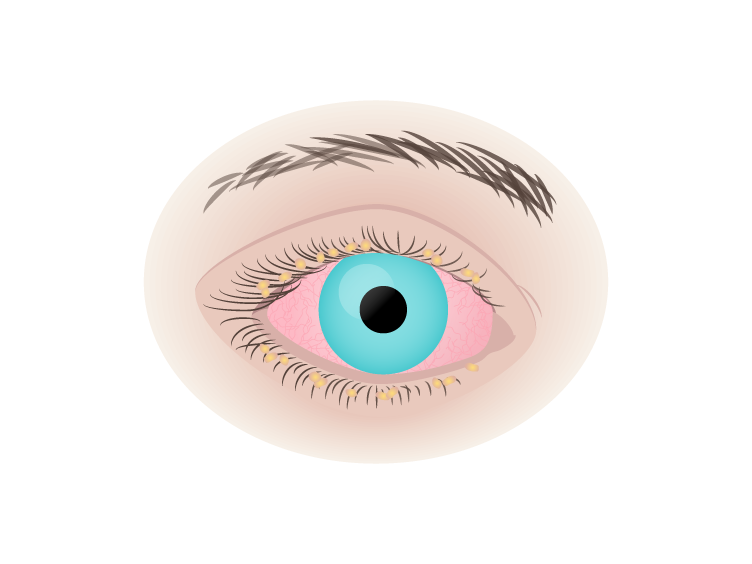 The conjunctiva can become inflamed from either a bacterial or viral infection. Your eye can also react to an allergy, such as pollen, or a substance like chlorinated water. The treatment for conjunctivitis is dependent on the type of conjunctivitis you are suffering from. If a bacterial infection has caused your conjunctivitis, you will have coloured discharge, in which case antibiotic eye drops from your local pharmacist can be used to clear the infection. If you are suffering from viral conjunctivitis, your eyes usually produce a watery discharge. As with other viral conditions, antibiotics are not effective at treating viral conjunctivitis, but the condition will go away after a short while and you can use eye drops and antihistamine to help manage the symptoms. Allergic conjunctivitis can be treated with anti-allergy medication. If you are unsure about which type of conjunctivitis you are suffering from, consult your GP or your optometrist, who will be able to provide you with a diagnosis. And if there is any severe pain or redness then you should consult your GP or your optometrist immediately. Bacterial and viral conjunctivitis are very contagious, so you should ensure you avoid sharing pillows or towels, and wash your hands thoroughly after touching your face.